Customers will love the vibrant colors of this soap and the delicious smell of mango sorbet. 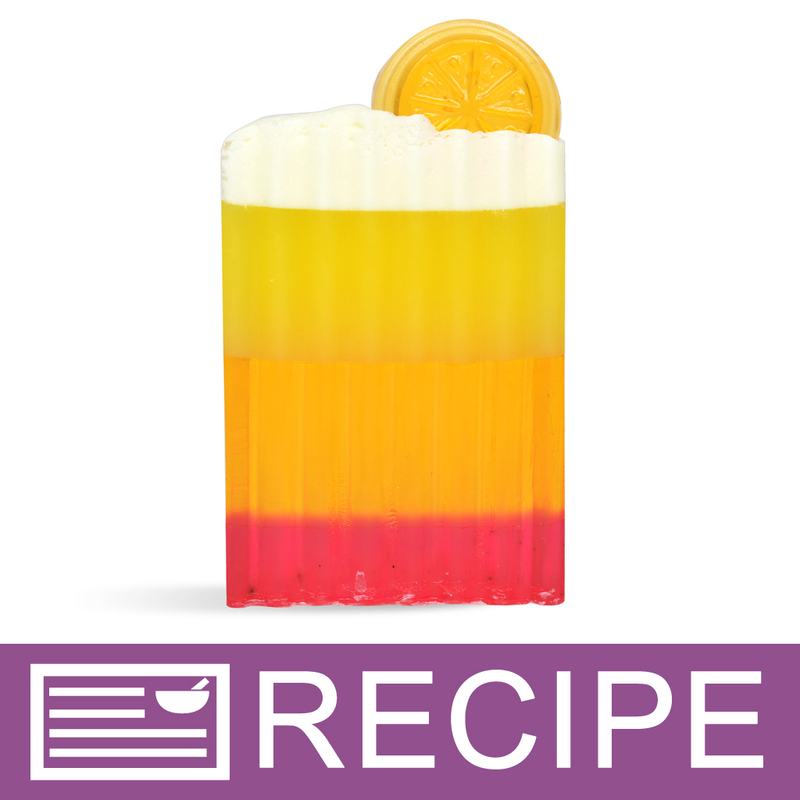 This soap loaf is created by layering different colored melt and pour soaps, and finishing with small soap orange slices on top. 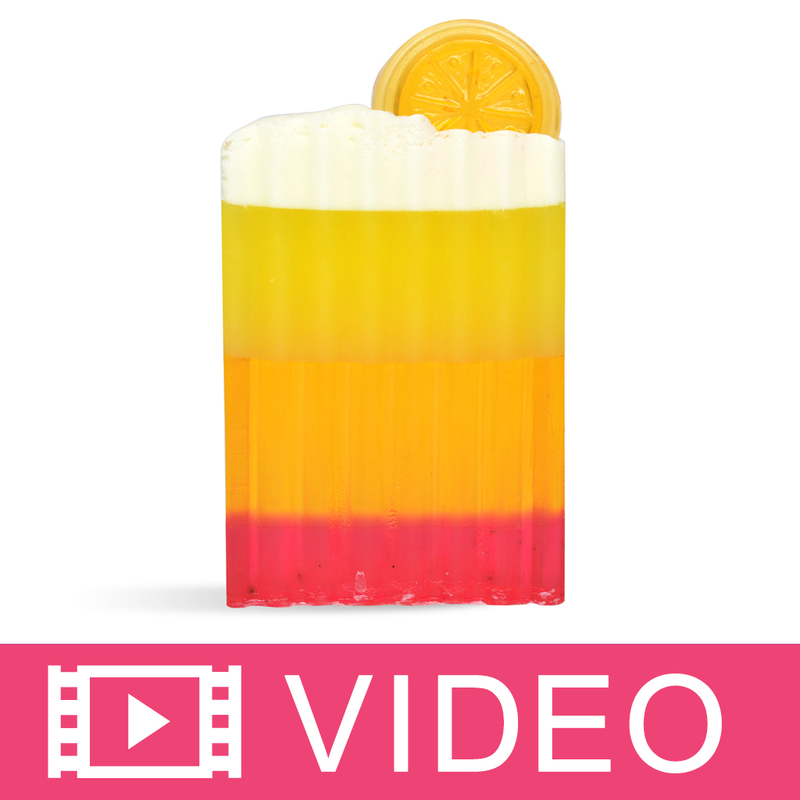 We recommend packaging these in cello bags with curled ribbon to show off this tequila sunrise inspired design.